A baptism of fire is almost guaranteed for any new captain who is overseeing his first Ashes series as the man in charge. The microscope focus is intense and both sets of fans and pundits unforgiving when the going gets tough. At 2-0 down in the series, it is safe to say the going will be getting close to unbearable for Root with his decision at the toss in Adelaide being crucified. 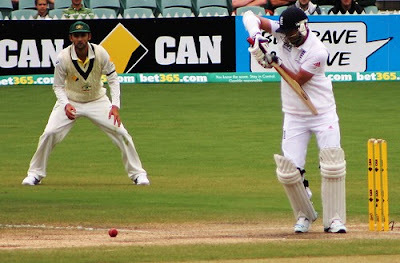 "Australia v England (2nd Test, Adelaide" (CC BY 2.0) by mertie. Root’s decision to bowl first is being seen by many as the critical mistake that led to the Three Lions losing by 120 runs to Australia. Counterpart Steve Smith made a rather audacious declaration with the Baggy Greens at 442/8 on the second day after Root had put them into bat, which highlighted the perceived foolishness of the young Yorkshireman’s decision at the toss. Mistakes are there to be made and are all part of the learning curve a captain must experience on the journey to becoming a hardened leader. In this particular instance, it may cost England the Ashes as the win in Adelaide gave Australia a 2-0 lead as they head on to the WACA for the third test. The last time England won at this historic ground was 1978 and they have lost their last seven tests against Australia there. A win for Steve Smith’s men here and they will take an unassailable lead and recapture the Ashes. It doesn't bear thinking about for Joe Root and he desperately needs to find a way to inspire his troops as they look to complete mission impossible. The Australian camp will feel that they have one hand on the famous and ancient urn already. Root said after the Adelaide test that England were still “massively in the series” but deep down he will know they are staring down the barrel and will need a combination of luck, skill and hard work if they are to get something out of this series. From whatever angle you look at it, it is hard to see England winning the next three tests. 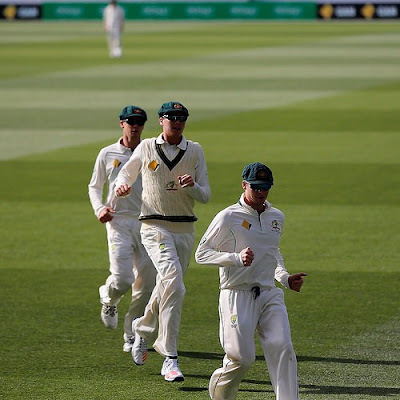 As it stands, they are 4/1 to win at the WACA but that may change as the game goes on should Root and his troops deliver an inspired performance against Australia; tipping and betting sites such as sportsbet.io will keep punters up to date with ongoing proceedings in Perth as England aim to fly out the traps and defy history. There is a lot on the line for the young Root during the remainder of the season. It won’t be the end of the road for his captaincy even if they lose 5-0. There will be a lot of scrutiny going forward but he will live to see another day. If he turns this around then his future as England captain will be secure for as long as he plays the game. In Joe Root's career, there won’t be many bigger tests of his captaincy than the one in front of him. All eyes will be on Root to see if he strengthens or withers.